A month ago I started doing a CSA workshare at a local farm one morning a week in exchange for a full share of weekly produce. I wanted to get my hands on the fresh vegetables and learn a few things about growing, plus I tend to find when I put myself in new settings learning new things, I can just feel my brain expanding. The first day I harvested hundreds of bok choi, beets, turnip, radishes, lettuce heads and chard fronds, but after two hours on my knees weeding I couldn’t stop thinking of all the other things I could have been doing with my time not to mention work deadlines looming and said to myself, I CAN’T DO THIS IT ISN’T WORTH IT. 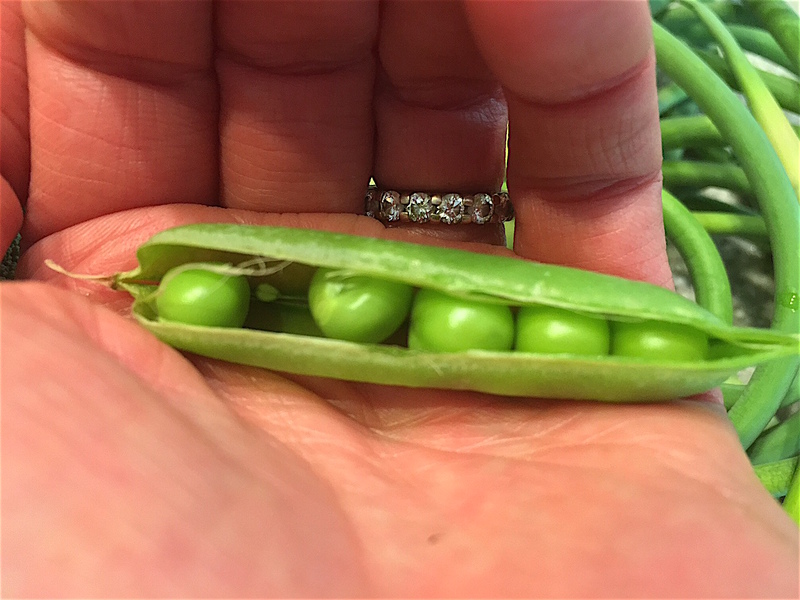 Each Thursday since then I’ve given myself over to the rhythm of the morning and brought home funky vegetables like kohlrabi and garlic scapes, and introduced my kids to hand-shelled peas and dried-on-the-cob popcorn and the world’s largest zucchini. I come home filthy and exhausted working side-by-side with the college-kid crew, feeling badass with a mini-machete until my back and knees remind me I’m old enough to be their mom and possibly their grandma. This morning while we were cutting cilantro, a guy who’s a history major at Dickinson asked me what bands I like and a Tufts OT confided her misgivings about grad school and I love being wrong, especially about new experiences. 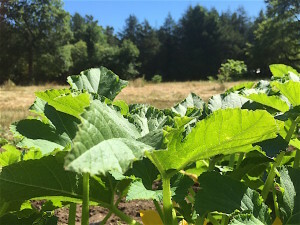 This entry was posted in On Learning, On the World and tagged CSA, farmstand, gardening, harvesting, learning experiences, new experiences, vegetables, workshare. Bookmark the permalink. What an awesome setup, Nichole. Plus, it seems you’ve harvested much more than you could have even expected. Here’s to those experience life gives us.